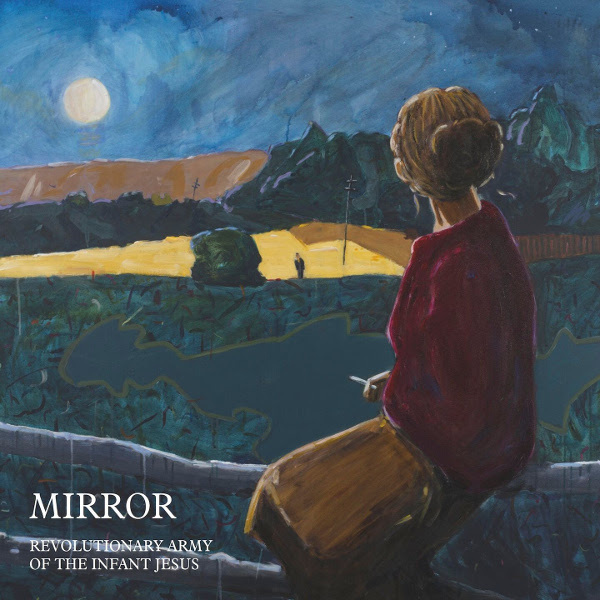 With the commercial and critical success of their 2015 release Beauty Will Save the World, their first new album in nearly 20 years, the Revolutionary Army of the Infant Jesus (RAIJ) decided to reissue their 1991 album, Mirror. This elusive Liverpool-based collective defies musical categorization. Mirror was their second album , and it is an eclectic and diverse set of ten songs. In addition, the CD edition contains two bonus tracks from their 1992 EP Liturgie pour la Fin du Temps. The original album release was CD only. Now Occultation is also releasing the first ever vinyl edition. There is a definite resemblance to Dead Can Dance on many of the tracks, as well as their signature blend of ethereal beauty and stark brutality. There are various samples and field recordings integrated into the tracks, including dialog from classic European experimental cinema, medieval Spanish poets, and the dying strains of Albanian and East German propaganda broadcasts. There is a quasi-religious spiritual aspect to the music. “Joy of the Cross” is a beautiful acoustic guitar and vocal piece that could be a hymn. Then the song that claims to be hymn, “Hymn to Dionysus,” is a cacophony of crazed drumming that overpowers the vocals and the rest of the band. “Psalm” is an ambient reverbed cavernous song with ethereal female vocals. Then there is the experimental “Nativity” with the repeated spoken phrase, “wrap the child that we too may worship,” that RAIJ cuts apart and rearranges the words into different phrases. Even though this music definitely defies categorization, it all works wonderfully for a superb sonic excursion. With the resurgence of interest in RAIJ, they have embarked on two new projects: a new album and a proposed multi-media release that will eventually appear on the Occultation label. So stayed tuned.